New York, February 6th, 2019 – Tie Break Ten to post the results of their Challenger USA series which was recently launched in New York City. 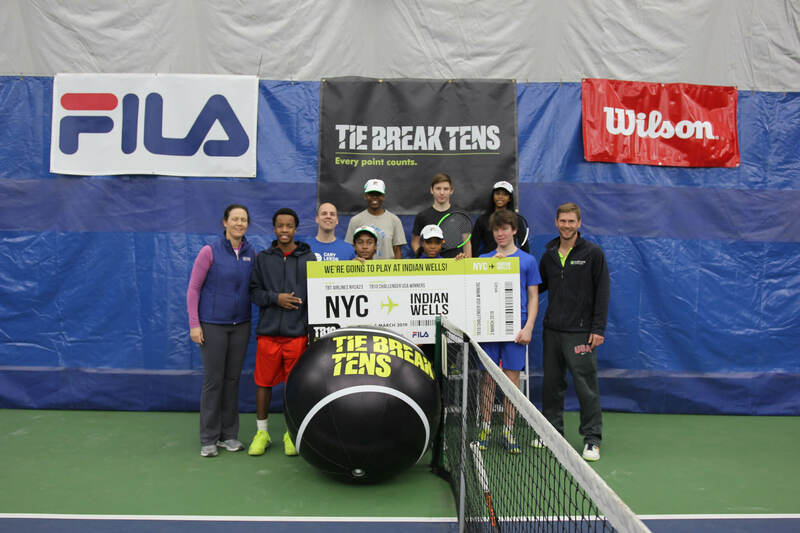 Working with the NYJTL (New York Junior Tennis & Learning) TB10 held tournaments across the city, targeting kids who hadn’t tried tennis before and encouraging them to compete in a fun, relaxed environment. We had hundreds of kids sign up to play and are thrilled with how things went. Thanks to our fantastic partners, leading sporting goods companies, Wilson and FILA, who supported TB10 in the roll-out of the tournaments with fantastic prizes for players including merchandise, equipment and money can’t buy experiences. Last weekend, we held TB10 Challenger tournaments at the esteemed Cary Leeds Center for Tennis & Learning in The Bronx, NYC. 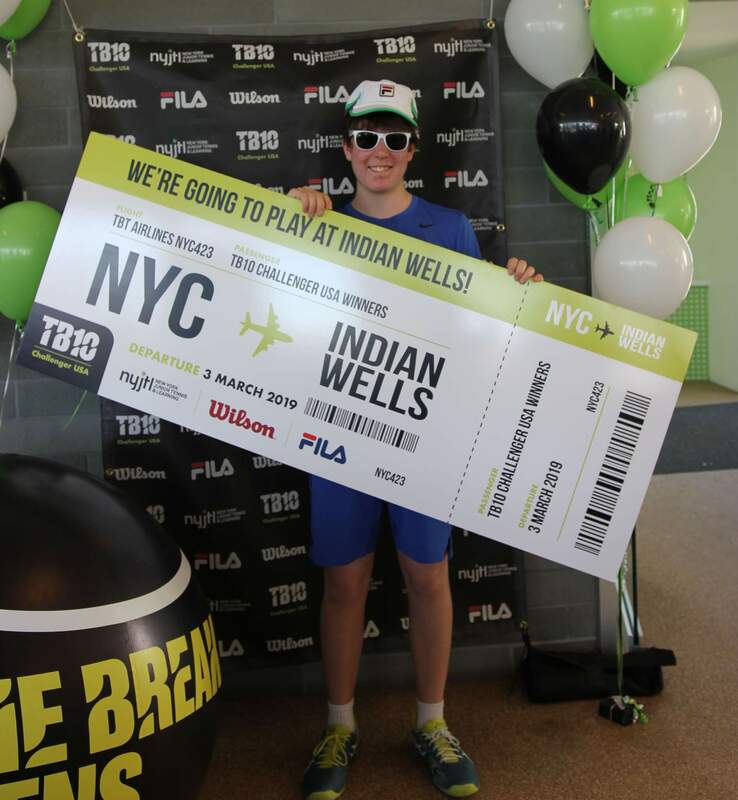 Eight lucky players from the New York area have won the right to fly to Indian Wells for an all expenses trip of a lifetime to the BNP Paribas Open where they will compete in the TB10 Challenger USA finals on one of the prestigious courts at Indian Wells Tennis Garden. Finalists will live like a professional player and mingle with global tennis stars at VIP shoots held by Wilson and FILA; where they will be presented with fantastic prizes including full FILA apparel and an exclusive new Wilson CLASH racket. “We have been thrilled by the results in our Challenger USA roll-out, with some fantastic feedback from both players and coaches. We are looking forward to expanding this across the US in the coming months. Our objective is to inspire kids to pick up a racket and have a go, no matter their ability, because Tie Break Tens is a quick, fun format that anyone can understand and play.” said Felicity Barnard, CEO of Tie Break Tens. 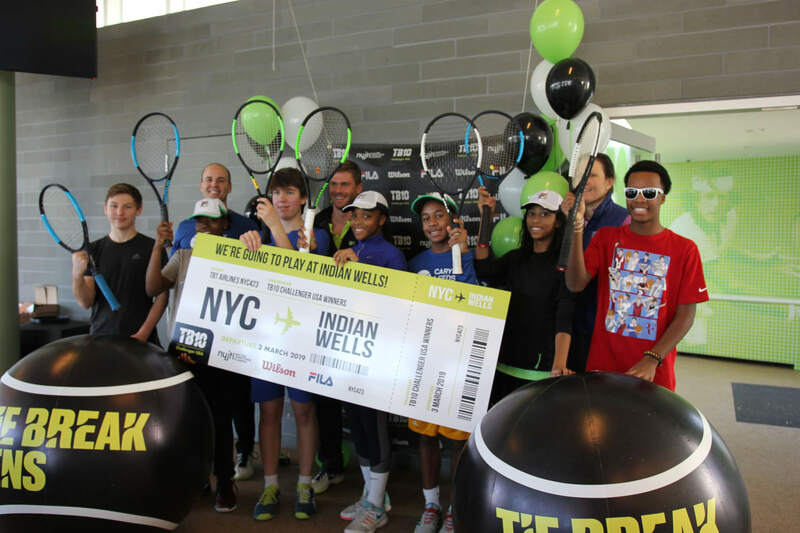 Liezel Huber, seven-time Grand Slam Doubles Champion and Board Director at NYJTL, said “We would like to thank Tie Break Tens, Wilson and FILA for investing in these kids who come from the poorest areas, because this is really a dream come true for them”.